WASHINGTON -- Two of the three Florida arbitration decisions this week hinged on whether the arbitrator thought that the rejected Chrysler Group dealership had a dual franchise that undercut its Chrysler sales. In the case of Deland Dodge, which won its bid for reinstatement, the arbitrator viewed its nearby Kia dealership as separate and easily distinguished. But in the case of Bob Taylor Jeep in Naples, which lost, the arbitrator saw its adjacent Chevrolet store as closely related. The attorney for all three dealerships, Mark Ornstein of Orlando, declined to release copies of the decisions involving Deland Dodge, Bob Taylor Jeep and Venice Dodge, which also lost. But he read from the judgments by the arbitrator, retired Florida state judge Amy Dean, stemming from the joint April 20-23 hearing for the dealerships. 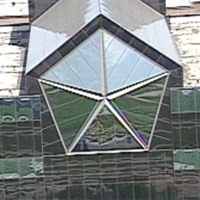 In 2008, Chrysler had spoken with Deland Dodge about possibly taking on all of the company's brands, knowing that the dealership also had a Kia store, said Ornstein, himself a former dealer. Deland Dodge won its bid for reinstatement even though its rival a half-mile away, Hurley Chrysler-Jeep-Dodge, is a Genesis dealership with all four brands -- including the new Ram truck brand -- under one roof, the lawyer said. Last week, in the first arbitration decision of hundreds to come, Joe Kidd Dodge of Cincinnati lost its reinstatement bid in large part because the arbitrator affirmed Chrysler's Genesis strategy. In the case of Bob Taylor Jeep, the dealership is next to the dealer's Chevrolet store. In the Venice Dodge case, key factors for the arbitrator included the dealership's sales performance and the age of its showroom, Ornstein said. “The dealership has been consistently below its sales requirements [and] has an outdated facility,” the arbitrator wrote. Venice Dodge's minimum sales responsibility scores were less than 100 percent, but the dealership consistently sold more Dodges than its rival sold Jeeps, Ornstein said. In addition, Venice Dodge's showroom was built in the early 1990s, while its competitor's was built in the last decade and had a new fascia, he said.